By Julie Jacobson · November 5, 2018 • Medicare and Medicaid loosened restrictions on reimbursement for remote patient monitoring, paving the way for more insurance providers to cover home-health technology. By Julie Jacobson · December 19, 2017 • In studying pre-CES IoT activity, we discerned a few new trends in smart-home technology ('the fog') and market forces (wellness) driving home-automation. But some things never change (standards). 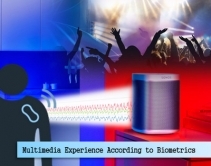 By Julie Jacobson · December 15, 2017 • An alarm clock that wakes you up to the smell of coffee, a standalone device that plays back lights and sounds for security, and other IoT "gadgets" illustrate major smart-home trends like audio analytics, wellness, and AI. 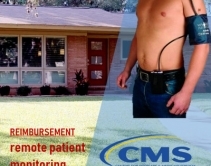 By Julie Jacobson · November 16, 2017 • Centers for Medicare & Medicaid Services (CMS) presents new policy that helps clinicians get reimbursed for remote patient monitoring and other mobile-health technologies.